These cheesy quinoa bites make a great healthy snack for kids, make ahead freezer meal, and the perfect healthy lunchbox food with lots of protein. A new year always brings new resolutions. And I do have new resolutions, but this would be the same resolution I’ve had pretty much every year that I can remember – get healthier. Drink more water. Eat more fruits and vegetables. Eat less junk food. Exercise more. You know, the normal resolution-y type stuff. Hopefully, this is the year that sticks. It has to stick through January because I’m in a group of ladies trying to lose 10 pounds by February 4th. Even if it doesn’t stick all year, a month of healthier eating/exercising is better than nothing, right? So far this year, I’ve exercised every day (*cough* ignore that the grand total is only two days)! That’s a success rate of 100%! I’m all over this exercise stuff. But eating is the other half of the equation. Oh, I have a hard time eating the right foods. I love my processed, refined, fried foods with creamy white sauces. It’s true. My very popular response to the question, “What would you like for dinner?” is “All the french fries.” I’m not planning on giving up all of my favorite foods. I need some fried potatoes in my life. 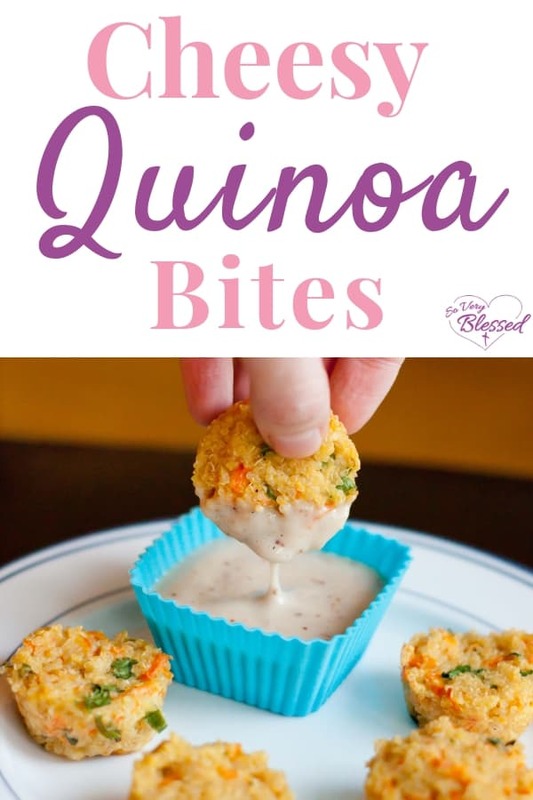 But I am planning to try to monitor my portion sizes and add more healthy foods to my repertoire….Enter Cheesy Quinoa Bites. I was trying to find a way to take a healthier food and make it taste less healthy and I think I’ve succeeded! 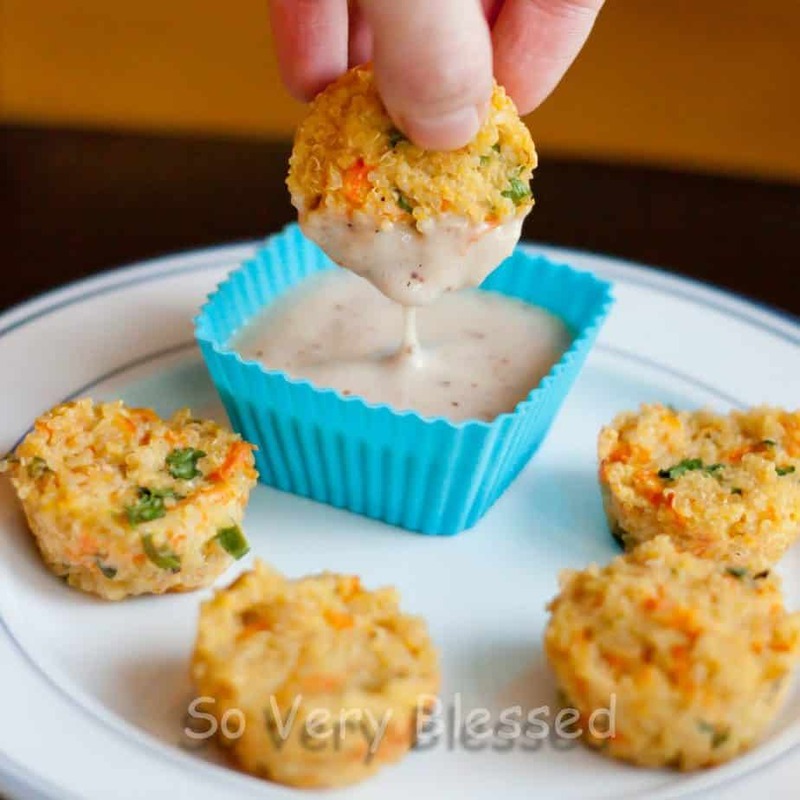 This is like a mash-up of vegetable quinoa and a tater tot. Without the taters, of course. I love that they’re bite-sized and I love it even more that they keep me full, thanks to the super food that is quinoa (pronounced keen-wah, if you didn’t know!). I used Kraft’s Light Honey Dijon salad dressing as our dipping sauce, but ranch or even sour cream would probably taste great! 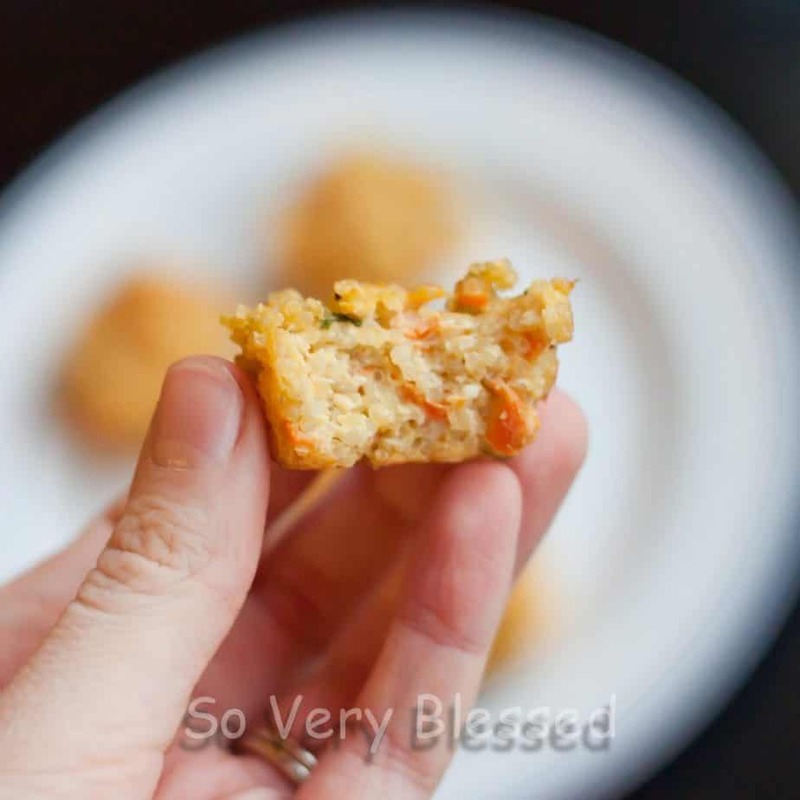 These cheesy quinoa bites make a great make ahead freezer meal, too! Make a batch (or two or three!) and freeze them for a quick meal later. I prefer to cook them first, cool them, and then keep them in a freezer bag. Then, just take out however many you need for a lunch or dinner. I think they taste better if you thaw them overnight in the refrigerator before reheating in the microwave, but they can be microwaved from frozen, too. When I first made these, I always used mini muffin tins, but now I prefer to use a cookie scoop to scoop the mixture onto a silicone-lined baking sheet. The baking directions and oven temperature stay the same, but then you never have to worry about them sticking! Mix together quinoa, carrot, egg, green onion, garlic, cilantro, cheese, flour, salt and pepper. Distribute mixture into a greased mini muffin tin, filling each cup to the top (1 heaping Tbs each). The dipping sauce pictured is Kraft’s Light Honey Dijon salad dressing. Looking for more quinoa bite recipes? Hi Monica! I haven’t tried that myself yet (I want to now! ), but I do think that would work! I’ve not had quinoa before, let alone cooked it, so bit of a newbie here. When the bites are finished in the oven, are they supposed to be a little moist on the inside or dry? Hi, Gabrielle! It shouldn’t be either extreme! They certainly shouldn’t be dry or falling apart, but they aren’t super moist either (though some recipes are a little more moist than others). They are firm enough to stay together and the outside will be a bit more dry than the inside. The inside reminds me a little bit like a tater tot, but it’s so hard to compare because the quinoa isn’t potato texture either! I’m sorry I can’t describe it more clearly, but you should definitely give them a try! Thanks so much, I gave them a try and they were so yum! Congratulations on this delicious recipe, made at home for my family and it was great. We love it! Thank you so much, Rita! I am thrilled to hear that you all enjoyed it as much as I do! a problem to light and make it important. More people have to look at this and understand this side of the story. I made these earlier this week and they’re incredible! Healthy and a great topping on my salads or on the side. I did switch celery out for red pepper (not a fan) and they were great! Hi Shannon! Sometimes cooling for a few minutes helps them “set” a little bit better, but usually the reason they fall apart is that the chunks of veggies are too big or there are too many of them. So sorry yours didn’t stay together! I’m so glad you liked them, Sandy! I love the idea of serving them with sweet thai chili sauce – yum! I tried making these, but when I took one out of the pan, it fell apart. Should I let them cool first? Thanks Becky. I haven’t read all these comments, however, the first time I made them, my friend phoned in the middle of everything and I forgot the flour. They turned out good without it. Second time I made them, everyone loved them. I served them with sweet thai chili sauce or chipotle sauce. Thank you for this recipe! Hi Sandy! Quite a few people have replied that they’ve successfully frozen them! You can try the organic whole wheat. White rice is not a good choice for diabetics as it turns into blood sugar very fast. I think almond flour would work good, and you would avoid white flour. Gotta try these! Substitute Gluten free flour should work. I cut wheat and wheat products out of my life since mid -May 2012, without counting calories nor cutting out other carbs, eating normally, lost 40+ lbs and now fit in a size 10-12! Reading your blog about counting calories and working to lose lbs.. I couldn’t resist posting this! 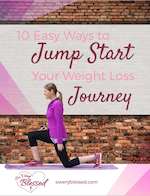 And the best part is I wasn’t trying to loose weight, just wanted to feel better! And lhe level of energy is out of this world!! why not? because rice flour doesn’t have gluten it doesn’t rise as easily and is less sticky but should work fine with this recipe. I recently discovered that packaged rice flour described as sweet gluten rice flour simply means a type of rice, like jasmine, doesn’t have sugar but tastes sweet and does not have gluten only that it is a sticker rice and is used in things like sushi. All in the translation. good luck–I’m giving this recipe a try and using rice flour. I just came across this recipe. It sounds delicious! My family eats a lot of quinoa. I can’t wait to try this. I made these tonight for dinner and followed the recipe exactly and they were amazing!! My husband loved them and one out of my two boys as well!!!! This will be featured regularly, a true keeper! We chose spaghetti sauce to dip them and couldn’t ‘dip’ enough! I also tried a variation and made a ‘breakfast batch’ with cinnamon, walnuts, diced apple, brown sugar, vanilla and flax….but here is my dilemma – what to dip them in???? Any suggestions would be greatly appreciated!!!! Thank you so much!!! Oh, yum! I’ve never shredded a red pepper before! I can’t wait to try these tonight! Gonna shred up some red pepper to put in them too! I’m so glad! I’ve never tried almond meal flour – so glad it worked in these! Made these tonight. They were great. I used almond meal flour instead of regular. Can’t wait to eat the leftovers! I’ve never tried millet flour, but it’s so good to know that it doesn’t mess with the flavor! I love cooking my quinoa in broth…I can’t remember the last time I didn’t! 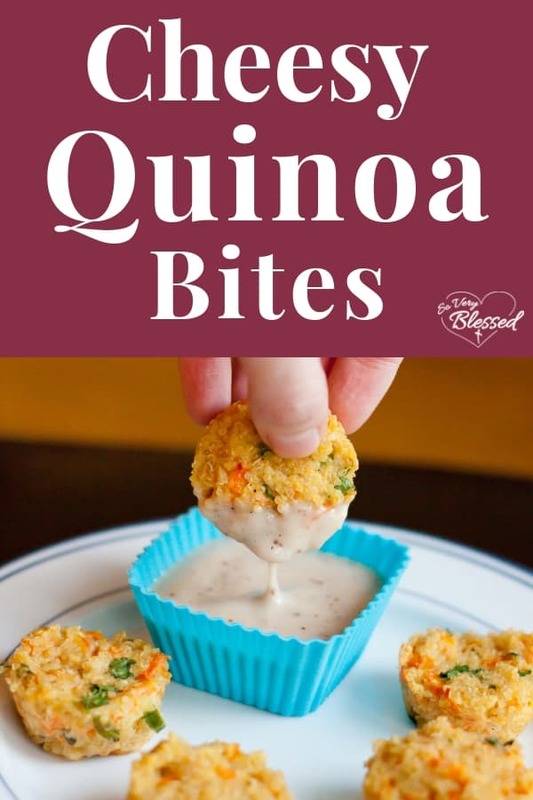 Love the addition of white cheddar cheese and I bet the bites looked amazing with tri color quinoa! I’ve used millet flour, all purpose gluten free flour with great results. I like millet flour for savory dishes because it doesn’t interfere with the flavor. I cook my quinoa in vegetable broth for extra favor. I used tri color quinoa tonight–wow, was it beautiful. All that color! You can try all purpose gluten free flour – it works great!! Yes, you can freeze these and they re-heat just fine! I haven’t done that yet, but it’s a really good idea! I need to try that soon! I wish I had more expertise in this area to answer that, but I really have no clue! I hope the taste lived up to the smell! I just had someone else tell me they were good cold, too! I have to try that now! Oh, wow! So glad your little one liked them! I never would have thought to put grated parsnip in! Very cool! I’m a huge fingerfood addict! I’m so glad you liked them! You’re so welcome! So glad you liked them! Oh, yum! Your version sounds fantastic! Thank you so much! I’m excited for you to try it, too! I haven’t done it yet myself, but others have said they have successfully frozen them both before and after baking! Thank you so much! I hope you enjoyed them! Yum! I’ve heard other people reheat them this way, too. I really need to try it! It would definitely be difficult to give up cheese altogether! I hope you enjoy these, J! Glad you liked them! I think the chicken broth makes a big taste difference! You’re very welcome! I’m so glad you liked them! What a great idea! I never would have thought to use red quinoa as “meat”. I just made these for a picky hubby and teenage boy. I used red quinoa. My son asked for more “meatballs” after dinner he asked about the ingredients. He was shocked that there was no hamburger in them. He had refused to try a similar recipe when I had used regular white quinoa. The red really makes them look like meat. You can make these without the flour. I have a similar recipe that calls for ham and cheddar. I’ve also subbed mushrooms and Jarlsberg (swiss) for ham and cheddar. Just made these today and they were soooo good, and also so easy to make. Thanks for the awesome recipe! I cannot wait to try these. Even though I stay lactose free for most things I have a hard time giving up cheese so once and awhile I will incorporate into my recipes. Thanks for these. I made these last night and enjoyed them! Today I reheated them in a skillet with a tiny bit of olive oil on medium high heat to crisp up the tops and bottoms! I thought they were even better this way! Thanks! Oh these look so so so good.. Will be making them on the weekend for sure!! Really, any sauce would taste good – barbecue, honey mustard, ranch, sour cream…I can’t think of a sauce that wouldn’t go well with these! Thank you so much! Good resourcefulness using the tine – so glad they were still tasty! Thank you! Did you try them? I was hesitant to try quinoa, but it won me over big time! I’m SO glad to hear that! Yay! These are simply put–delicious!!!! And the hubby likes them, big win! Just wondering- has anyone tried to freeze these? Thanks for sharing! I am eating these as I type. These are amazinggg!!!! I don’t have a tin cup for muffins so I used a small square tin. These are really good! thanks for sharing! Does anyone have any recommendations on other dipping sauces? I’m not able to find the Kraft sauce pictured. Can’t wait to make these! Has anyone made them in a casserole dish and then cut up into bite size pieces? Does the cooking time change if baking in a casserole dish? Thanks! It’s easy enough to convert this to gluten free but I wonder how to veganize these? Maybe flax meal, Daiya cheddar, and a little Xanthan gum will stick it all together? Tried these tonight, they’re baking right now! We didn’t have a ton of veggies so we just put broccoli in them. They smell AMAZING! I can’t wait to try them. And we don’t have a mini muffin tin.. so we used a regular one and there’s defintely plenty for dinner! And we ate them cold still super tasty. I made these today for my 1 year old. I used cheddar cheese, added ground flax seeds and grated parsnip, did not put salt nor pepper. I used 1/2 teaspoon paprika. I used wholemeal flour but any kind of flour would work. U can also add wheatgerm. I will try and make these using spinach. I also cooked the onion and garlic before adding it to the recipe. I will definitely make again so thank you for such a great recipe. I used cheddar cheese delicious!!!!!!!!!!!!! I added ground flax seeds and grated parsnip too. U could use wheatgerm instead of the flour but any kind of flour would work as it is used like a thickening agent in this recipe. Will definitely make these again. Are these Ok to bake and eat at room temperature? Want to make them for a party, but am wondering if they would not taste as good if they aren’t warm. You can substitute any part of the recipe except the quinoa. My hubby doesn’t like the texture of quinoa and still loves this cold salad. just made these! absolutely delicious! thanks so much for sharing!! I can’t wait to try this!!! Does anyone know if it would freeze well? Like, for a make ahead meal? Thank you for this recipe. I have wanted to try quinoa for some time. They are delicious. I am making them again today. Delicious! I didn’t have carrots or cilantro in the garden but we had the scallions and bok choy, onions, and garlic. Delicious with a light soy dipping sauce! Thanks for the inspiration! Love this recipe. These looks fantastic & tempting. I am so excited to try this new and different recipe. Thanks a lot. In going to try almond flour. Honey Mustard Chipotle dip?! YUM! I’m so glad you were able to make these gluten free! I love the idea of replacing the eggs with chia seeds! And definitely sounds good with spinach! Thank you for the info! Mmm…an avocado sauce sounds fabulous! I haven’t tried nutritional yeast, but others have said that it worked well for them! Ooo…yum! I hope they turned out well! Thanks for the tip! I didn’t even know there was such a thing as quinoa flour! Another reader calculated the nutritional info! Adding spinach is such a great idea! Yum! Oh, yum! A love pierogis and it’s brilliant to add some cauliflower! I’m definitely going to try cooking the quinoa with some minced garlic! It sounds fantastic! Thank you so much, Dee! I’m so glad you liked them! Welcome, Connie! And thank you so much! Thank you for the tip! Using GF Bisquick is a great idea! Yum! I hadn’t thought of using coconut flour! So glad everyone liked them! I haven’t tried freezing them myself, but others have said they’ve done it successfully! I hope your boys like them! Others have said they freeze well, but I haven’t tried it myself yet! with counting macros what would the fiber count be. I can’t stop eating these! Do you know if they freeze ok? I did them with rice flour and they were great. It isn’t like a cake that has to rise, so I think any kind of flour would work. Thinking of adding cheddar cheese next time too! Served these at a BBQ last night and they were a huge hit! Used coconut flour as a sub. Thank you! for the Gluten Free ones of us– i am going to use the bisquick GF mix, it ususally substitues in for flour really nice. 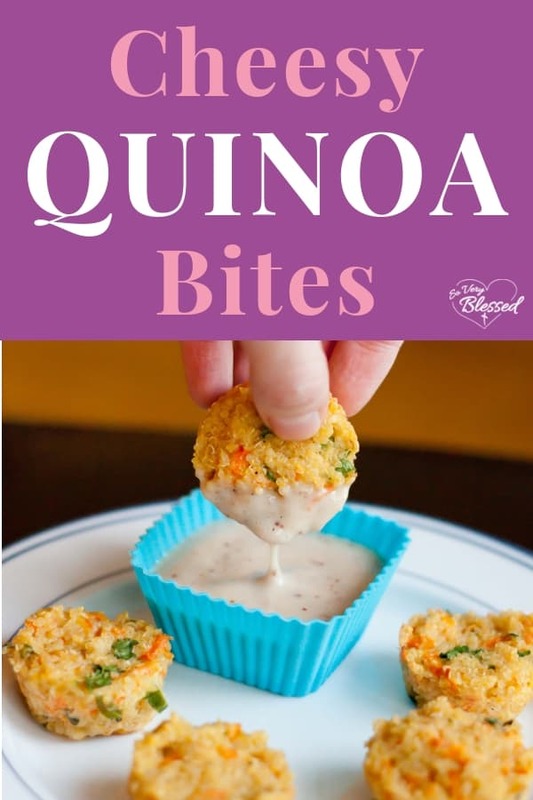 These Quinoa bites look incredibly delicious!! Thank you so much for sharing 🙂 I’m your new blog follower!! Whole wheat flour worked great with mine. Thanks for such great inspiration tonight. I made quite a few changes as I thought I’d try to emulate pierogi but the principle was the same! I also halved the recipe. I cooked the quinoa with a finely diced shallot and a big clove of garlic minced right in the pot. Near the end of its simmering I added shredded cauliflower (probably 3/4 of a cup) because I find cauliflower to mimic the flavour of potato – essential for pierogi! When I do this again, I’ll put the cauliflower in at the beginning so it really softens. I mixed the quinoa/cauliflower mixture with one egg, a heap of cheddar cheese, black pepper and a couple of heaping spoons of fat-free sour cream. I quenelled the mixture straight onto a greased baking sheet and they were in the oven for 22 minutes. I served them just how I like my pierogi: with sauted onions and sour cream flavoured with chilli, paprika and black pepper. I have subbed with spelt flour, almond flour, and Namaste Perfect Blend gluten free flour in many recipes like this with great results. how many calories are in these babies? I cooked this up tonight and loved em! even my hubby like them! I didn’t have fresh garlic so I used garlic salt, added some green peppers and cut up spinach to it. yummy! thanks for posting this! I cant either did you try these with rice flour yet? I plan on making these at the end of the week with rice flour. Looks Yummy!! I haven’t tried these yet, but wanted to let you know that “Ancient Harvest” makes quinoa flour. I found a box at Whole Foods. I fused this recipe with your buffalo chicken quinoa bites. I am a vegetarian, so I left out the chicken, but wanted the buffalo taste. I did cut down on the hot sauce too! They are in the oven now, and I am super excited about the results! These were amazing with a simple avocado sauce. Can you use nutritional yeast as a substitute for cheese in this recipe? I’m not sure how to veganize the cheese, but I’ve seen cashew cheez that would probably work. The eggs can be replaced with 1Tbsp chia seeds to 3 Tbsp water (let sit 5 min) PER EGG. Gives it a poppy seed effect. Sounds good with the spinach! Def marking this blog for future visits! I found these on Pinterest via a modification of this recipe, but I’m so glad I clicked through to this one. I made these last night and they were sooo good! Great recipe. I brought them as an app to girls night and they were a huge (semi-guilt-free!) hit! Thank you! I’m gluten free so I subbed the flour for Bob’s Mills Biscuit and Baking mix and it worked just fine. I also subbed sweet potato for the carrots, because I love sweet potatoes. Served them with some Honey Mustard Chipotle dip – so delicious. Haylee, I’m so glad you liked them! I hadn’t thought about using whole wheat flour! Thanks for the idea! Anonymous – That’s so crazy! Here I was thinking Taco was such a unique name! Glad your sister’s Taco had a good, long life. These are really good! I left out the garlic and the green onion (because I didn’t have any) and used whole wheat flour and they still turned out really good. Thanks so much for the recipe! I’m excited to try these. I love quinoa but have very few recipes that I really like. Two others I like being “quinoa burgers” that I found on a different site and a cheesy quinoa & broccoli bake. Instead of the muffin tins I’m just going to bake like a casserole in an 8×8 pan as it’s just dinner for myself. Would be great at a party in the muffin tins though! Thanks for the recipe! Yum! I can’t wait to try these, I love the idea of using the muffin tin and baking rather than frying them up…Awesome! I used whole eggs… A few of mine fell apart but I think they were a little bigger than the others… I think if I had left them in the oven a few more minutes they wouldnt have fallen apart. And cooking quinoa in chicken broth gives it a lot of flavor… They are good without dipping in anything! I calculated out the nutritional info in case you might want to add it to the body of the blog in case there are people counting calories and macros like myself :)I subbed oat flour for the all purpose for a complex carb. Thank you so much for this great recipe!~ Have celiac disease (need gluten free) and I just used 2 Tbls of gluten free all purpose flour They are yum!!! Not telling anyone they are gluten free tho! Question–is it better to use cold/warm, or hot quinoa? So, I was dead-set on making these tonight, but when I went to the grocery store, they didn’t have any quinoa. Despite cous cous being nothing like quinoa, I subbed it in anyway—and it was still delicious 🙂 Probably a bit spongier, and I broiled them briefly at the end to bring back some crispiness. Made these tonight – Excellent! Thanks so much for sharing the recipe. I used black quinoa when I made this. Do different types of quinoa have different consistency (sticky vs less sticky) like rice? Mine all fell apart. Success! Added some fresh basil, parm and mozzarella and used a tomato sauce for a dip! My daughter is on a low glycemic diet for seizures and quinoa is one of the only grains she can have. She hasn’t liked quinoa yet but I bet these will change her mind! I’m substituting coconut flour for regular flour as its nutritionally rich and similar texture. Crossing my fingers that she likes these! These are so good! Great way to use left over quinoa! YUM! 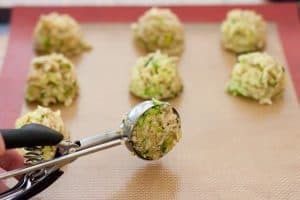 I just came across your blog as my gf called me and told me she is making your homemade cheesy quinoa bites & sent me the link! These look deelish and I love quinoa recipies! Im trying to be more creative with cooking, and I always make healthy stuff… or atleast I try too! I hope you like the buffalo chicken bites! 1/2 cup low fat sour cream, 1 tsp dijon mustard, 1 tsp yellow mustard & 1 tbsp agave nectar. mix all together and adjust to taste. it was delicious! Now I can’t wait to try the buffalo chicken bites! Layla, I’m so sorry it’s not working for you! The only suggestion I have is to increase the amount of egg and flour (those are the binders). I wish I knew why they weren’t staying together for you! Linda, I haven’t tried it myself, but I’ve heard from others that rice flour will work! @Linda rice flour will work as I used it the first time I made these and they were wonderfu! These are SO Delicious! Thank you. I made a double recipe to take to a retreat and ended up making another double recipe because I’m sure people will gobble them up. I will be making these again for parties and for the family to snack on. Yummy! I used fl parsley instead of cilantro just because it seemed a better combo with the Parmesan cheese. I’m ping to serve them with a fresh tomato marinara sauce for dipping when my boys wake up. I’ve already popped half a dozen myself. I’d love to make them with shredded apple and cinnamon as a breakfast option. I made these last night and they are awesome and addictive. I added 1 cup of shredded cheddar to mine and I got 30 bites. 28 calories each. Nice! I just want to say these are really tasty and a GREAT(healthy) finger food for babies. I just omitted the salt. I was wondering if instead of using a mini muffin tray, could I make them into little balls and bake on a cookie sheet? Seriously good! I used a regular size muffin pan and it made 18 bites, using a heaping tablespoon for each. I substituted egg whites for whole eggs to cut some of the calories. We loved them and I can’t wait to try the other flavours too! Surprisingly, we didn’t eat them all at the first sitting and had plenty left over. I put them into a bag, crumbled them and into a sauce pan with some chicken stock. I’m amazed to find that they’re even better the next day! So yummy! I’m loving all your quinoa recipes! Keep them coming! You can substitute one tablespoon of cornstarch for the 2 of flour in the recipe for a gluten-free variant. I tried it and just dissolved the cornstarch in a bit of water before adding it to the mix. It came out the same as when I did the recipe with flour! Voilá! Great recipe! Big hit at parties and a good way to use quinoa! I made these last night. They are yummy! I used wheat flour, because that’s what I had readily available. It worked fine. Also, my carrots were not finely shredded. I just ran them through the food processor and chopped them up. I had some big chunks. They held together fine…was even able to pluck them out of the muffin tin with a fork stabbed in them. And thanks for the clue about the doubling in size. I cooked way too much quinoa…guess I have enough cooked quinoa to make another batch! By the way… we were discussing these after we tried them last night and it might be good to mix them up one night, refrigerate them overnight and then bake them the next night. This would give the flavors a chance to meld and taste even better. I am going to try these out on my family tomorrow night! If all goes well, I’m going to make them for a baby shower I’m planning – except I’ll make them in a mimi muffin pan so thy will be bite size! Anonymous, no, I didn’t use any cups! I believe the yolk helps hold these together so maybe that was the issue? And it could have been the carrots – mine were pretty thin! I’m so sorry they fell apart on you! That’s so frustrating! Did you use mini muffin cups? I used egg white, but mine didnt stay together, I was dissapointed. Maybe the carrots were shredded to thick? They seemed a bit big. I just left the flour out and they still stayed together great. Love the recipe! I can’t wait to try these! Quinoa is so good for you and these look so awesome! I cannot wait to try these! They look amazing! Thanks for sharing! I have got to make these. They look fantastic! I made them this morning and they were AWESOME! Was going to eat some at lunch with my soup, but decided to eat them right from the pan for breakfast! I subbed some fresh basil for the cilantro (not a fan) and instead of the all-purpose flour I used a combo of brown rice flour, potato starch, and quinoa flour. Rice flour probably would have been fine on its own, but I am new to this and I have all the flours so figured why not mix! Thanks very much for the yummy recipe!! Hi! I am really anxious to try these, but I can’t have eggs. I typically use a mixture of ground flax seed and water to substitute. Do you think that would work with this recipe? Ok, I HAVE to make these now! I don’t have mini muffin tins so I’m going to make them in regular muffin tins using quinoa flour for the flour (need to eat gluten free) and add some ham. I’m trying to eat better breakfasts and this should fit the bill perfectly! Just tried these today. they taste pretty good! I measured the quinoa wrong though. I realized AFTER that it called for 2 cups of COOKED quinoa and that stuff really swells in water. Great with the honey dijon. Mmmmmm, these sound so yummy!! I adore quinoa! I featured this recipe in my Living A Bona Fide Life: Recipe Box #22. Can’t wait to try it! I made these tonight only used yellow onion, green and orange peppers, zuchini and squash instead if the parsley, cilantro and green onion. I also used mexican cheese mix and served them with salsa. Turned out great! Thanks! Great recipe! I made a tex-mex version yesterday and they were excellent. Thanks so much for the idea! Sue, I’ve used them more as a main meal or snack/appetizer so far than as a side, but they’re pretty versatile! I’ll have to try adding marble cheese…it sounds delicious! I’m so, so happy you like them! Yay! You’re so welcome! Great idea to make little pancakes out of them! I love adding crunch to things! Ha! That’s hilarious! I’m so happy you both like them! You have such great ideas! I can’t wait to try them with chicken and spinach! Thanks, Karen! We just restocked our quinoa supply, too! Do you think this is more of a snack or a side (like fries or tator tots)? These are in the oven as I type, found on pinterest yesterday and couldn’t wait to make them despite not having all the ingredients. So I subbed diced red onion for green onion and left out cilantro altogether as I didn’t have anything to replace it with. As mentioned in another comment I added some shredded marble cheese and chicken as well. Okay apparently I am obsessed with this. I’ve got em in the oven again, and this time I added two diced chicken breasts that I cooked with seasoning and diced. I also threw the veggies and spinach (not cilantro) into the pan with the chicken and sauteed the whole thing real quick. Added to the quinoa, egg, flour and cheese- and they’re baking now! I have always found mine at Kroger in the healthy food isle. I think ours is next to the produce. I live 20 minutes away from the nearest Kroger so I stock up every time I go! I am trying to find ways to use my quinoa, but my family is not a big fan. However, I sneak it into soups and chili and they never even know. Jaimie – I’m not sure yet! I haven’t gotten to freeze a batch yet, but it’s on my to-do list! Krissy – YUM! That sounds delicious! Thanks for the idea! Brandy – You’re so welcome! Njlewicki – Great idea! I bet the spinach tasted great! And it’s good to know the cooking time for the normal muffin tins. Thanks for letting me know! Hi! I just made these and they are awesome! I used spinach instead of cilantro- picky roommates. I also used a full sized muffin tin and they took about 20 mins to cook at 350. Oh my WORD! I am so all over these!!! Thanks for the recipe!!! I made these BUT I omitted the egg, shaped into thinner ‘patties’ and put them on a baking sheet, flipping them half way through the 12 minute cooking time. Gave them a bit of a crust–oh, and I added some shredded marble cheese, just for fun. THANK YOU for the inspiration!!! Awesome recipe. My husband said it was a keeper. Anonymous – I was planning to try to freeze part of the first batch, but they all disappeared! I’m hoping to try to pop some in the freezer from my next batch. Rachael – My count was a little lower than that, but I may have missed something! Anonymous – Oh, my mouth is watering thinking about adding prosciutto! What a great idea! Liesl – I hope you like them!! Rossana – I haven’t come up with a specific dip for these yet, but I’d love to know if anyone else has one! Could anyone think of a homemade dip that would go well with these? Great idea, and a great way to help achieve that ‘healthier’ goal!!!! Sorry, one correction to my previous post about the prosciutto. I used parsley, not cilantro which I detest, so I didn’t quite make them as per the recipe. I just finished making a sample batch. These are delicious! I made them two ways. First as per the recipe and baked for 20 minutes. I also took 2 slices of prosciutto and cut them into thirds. I lined each of 6 mini muffin wells with a piece and then filled with the quinoa mixture and baked for the same length of time. Both were great. My hubby liked the prosciutto ones more, but he said both were good. I will definitely be making these again and will try freezing them to see how they hold up. Thanks! I figured it out to be around 43 calories per bite! Any idea of the calorie count in them,? Has anyone tried freezing them? I would love to know how they would hold up. Thanks. FYI – You can make Quinoa/cous cous etc in a rice cooker. WAY easier than the 42 step methods. Comes out perfect every time and you can add in broth, herbs etc to it to cook aswell. SUPER easy. Just made this recipe – 3 minutes till ‘done’ time. I added in some fingerling peppers and eliminated the cilantro/parsley because i just dont have any. Hope it still works! Sharyl – Thanks so much! I hope you and your kids enjoy them as much as we did! morningtempest – I sure hope you like them! Anonymous – I’ve seen the quinoa burgers pinned on Pinterest. They look great! Thanks for sharing! Quinoa contains whole amino acids & is really great for you. It can be found in the grocery store near rice. Costco sells it. It cooks like rice. Tastes great alone too. These look great. As a vegetarian, I love to find new ways to use foods I have as staples in my pantry. I’ll be trying these tonight! I can’t wait to try these, and I’m sharing them on my Friday Food Finds page next week. Kids are drooling over the pics. Thanks for sharing. YAY!! I’m so glad you liked them! And I’m so glad that the substitutions worked, so that they could fit into your diet! I used a half a TBSP of potato startch, 1/2 TBSP of tapioca flour and 1 TBSP of rice flour. Didn’t need to add xanathan or guar gum as it is less than 1 cup of flour. It worked well and they tasted great!! decaf – Thanks for the idea! Anonymous – You’re so welcome! And I bet white cheddar would be delicious! It’s one of my favorite cheeses! Tracy – Thanks so much! I think it would be a very toddler friendly snack! Lisa G – You’re welcome! Thanks for trying it! What are you dipping these into? I gotta try this! Thanks for sharing. These sound delicious and a great way to sneak in some veges for my toddlers! Pinning it for later! Just a thought: To reduce fat and make them vegan, you could replace the eggs with 1/3-1/2 cup of blended silken tofu, and replace the cheese with 2-3 Tbsp nutritional yeast (bonus — this adds b12, as well). You could even add in some ground flax seeds for added fiber and omega-3s. Anonymous – The dipping sauce is Kraft Honey Dijon salad dressing. Cecilia – Wow! I didn’t know the Weight Watchers point value! Thanks for telling me! these look amazing! and only 1 weight watchers point per bite! What is the dipping sauce please? aaflood – That sounds much easier! I’d love to know how they turn out for you! Natalie – Thank you so much! I love bite-sized food, because it’s so easy (and much more fun, in my opinion) to eat! Laura – You are so welcome! I love quinoa, too! Ambika – Thank you so much! My husband went nuts over them! I hope you like them! Sgt SSD – Thank you so much! I’m trying really hard to get rid of some of the junk from our diet! Anonymous – I used a Kraft honey dijon salad dressing to dip ours! Jenyy – Thank you so, so much! You know how much that means to me coming from you! Skinny Fat Kid – I’d pop them in the food processor if I were you. I agree that the pre-shredded carrots in the store are pretty chunky! Elisha – These would work great in a regular muffin tin! You’d just have to cook them longer. I’d recommend 25ish minutes, but I’d start checking them at 20 if I were you! Let me know how they turn out! Would these work in a regular muffin tin or just the mini? How small do the carrots have to be? The pre-shredded bag I buy always seems to be too large. I could pop them in the food processor quickly…. Talent! Pure Talent!!! That’s what you have. Your food photos and recipes are always so enticing. Would love to try these for Bridge night. I like the sound of quinoa bites! That. Looks. Amazing. I am very happy I found your blog. I am definitely searching for clean eats like this, thank you! Yum!! The quinoa bites look super tasty!!! I love quinoa, and I am so excited to try it in this new and different way! Thanks so much for sharing!!! These look fantastic!!! I’m all about continuing to eat healthy, and this would be a perfect snack! Love the idea!! I’m going to try these with gluten free Bisquick instead of flour…I’ve done it before in other recipes & works great.Plus, it’s an easier substitution. I’ll know how they turn out! 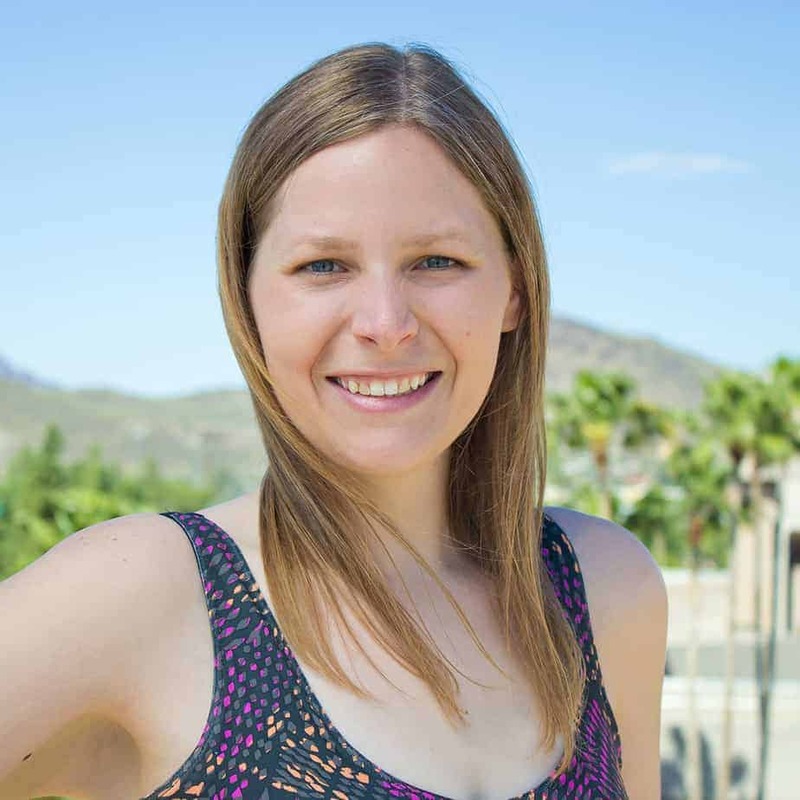 Gwendolyn – Thanks so much for that great info! I know some gluten-free people that will really appreciate that variation! Erin – My sister doesn’t like cilantro either! But I bet the parsley would taste great! Vicki – Ooooo…minced jalapeno would be GREAT in these! Amazing idea! Tricia – I did the same thing! I had a bunch of quinoa in my pantry for quite a while and didn’t know how to use it! Noel – Oh my goodness…a fried egg on top sounds HEAVENLY! Brilliant! I can’t believe that you know someone else who had a cat named Taco! How crazy! I had never heard of Taco used as a pet name before my husband spontaneously suggested it! Laurie – I came up with the idea while we were in Colorado! And of course I’ll make some for you guys! Where in the world did you find THESE? Can you make us some to try? Came over via Foodgawker. I love this recipe! I will be making these and topping them with fried eggs for breakfast. Thank you so much! I found this recipe through pinterest and I am so glad I did. I bought quinoa and have not been able to find a recipe to use them for! I am making these for lunch today and I’m going to add a little minced jalepano! Where is quinoa found in the grocery store? I love the idea of these. I have Quinoa, but am looking for ways to use it. Hubby isn’t a fan of cilantro, so we would go the parsley route here! The rice flour would probably work if a bit of xanthan gum, potato starch and rice flour were mixed together to make up the 2 tbsp. Then it could be considered to be gluten-free as well (as long as the other ingredients are GF). Sara, boy do I understand that! My husband was SO skeptical of this recipe, even though I’ve made quinoa before and he liked it! He ended up loving them so much that he asked me to make more! Tessa, thank you so much! Linda, I haven’t really worked with rice flour before, but it should work! The flour is just used as a binder, so it might work just the same! Let me know if it works! I love the idea of using the muffin tin instead of shaping patties. Looks much easier. You have inspired me to bring quinoa back into my life – it’s a tricky one to pull off on the family!! I can’t wait to try these! Not suppose to have white flour … I wonder if rice flour would work?